BARN - Package, Price, Promote and Place Your Work! Package, Price, Promote and Place Your Work! 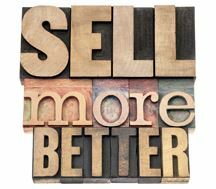 Do you struggle with the logistics of selling your work? Does the idea of pricing what you make give you a headache? We're here to help! This class will teach you the basics to successfully package, price, promote and place your product in the market place. Learn to determine which marketing materials will best reflect how your products will benefit a customer. Develop a focused approach in marketing the product to the correct customer base. Understand the implications of being in business - including taxes, insurance, business licensing and complying with federal/state/local regulations. Learn to utilize the power of networking to build your business. learn to recognize costs, expenses, sales, profits, and equity. Learn to utilize all methods of marketing and create interesting and exciting materials. Develop a viable business plan that outlines a business that can succeed and grow. Become involved with the community. Learn how to ask for help and be willing to pay for it. This class is taught by long-time Bainbridge Island business owner Stuart Walton. Stuart has taught entrepreneurial training classes for over nine years and is recognized as a business specialist who lectured at many local and state events and given lectures local universities. He has presented nationally and internationally including at the White House Counsel for Building Small Businesses. and the Asset Building Coalition for the State of Washington. Stuart was a Bainbridge Island Historical Society board member, the Secretary/Treasurer of the Winslow Way Property Owners Association, Chairperson of the Business Development Committee on the Winslow Tomorrow project, Boy Scout Leader, and with his wife owned Paper Products on Winslow Way for 12 years.